Evening Update 1-31 – Internal Testing has begun! Today is a great day for all of us at City State Entertainment and for the backers of our game, Camelot Unchained™. I’m very pleased to announce that Internal Testing has begun on schedule. Over the last 24 hours, we have done two stress tests of our client and server. This afternoon’s peaked at around 407 client connections from our pool of internal testers. We experienced no crashes even though many players ran multiple instances of the client on their machines. While server utilization numbers can be a lot of hot air since the configuration and hype can make a bad test look good (we had 100 people on a server with 96 cores and barely used 10%!) or a good one look bad (1,000 people on a single core machine but 99% CPU burn), the performance of our server, even at this early stage, was better than expected. Again, this was an early test, but our server performance was right in line where it needs to be to support the large-scale battles that are at the core of Camelot Unchained. However, scale isn’t just about server performance, of course, so we’re encouraged that client performance was also in line with our expectations, especially given the non-optimized state of our engine. For example, we didn’t even turn on LODing for our high-resolution models. It has been a long week for all of us at CSE as we worked overtime to make sure we hit this major milestone. While we have always said that our dates are estimated, we wanted to hit this one, and we did. The team performed admirably as usual, and the results of their hard work over the past few months have begun to be seen by our internal testers. Because we have made such great progress so far, I will not require an NDA that keeps Internal Test participants from sharing their experiences with the other Founders and Builders. While I might find it necessary to do so at times (mainly when we experiment with things we don’t want to discuss with all 16K+ until the ideas are more than half-baked), for now, our testers are free to discuss Internal Testing on OUR FORUMS ONLY. Sorry for the caps, but I want to make clear that all of our Founders still are bound by our forum’s Terms of Service. Starting with today’s test at 5PM, we plan to run all sorts of tests over the coming months. The servers will go up and down more often than a roller-coaster during this stage, and we will call on our IT folks to begin the 2+ year adventure of helping to beat this project into a game for our scheduled 2015 release. During this time, we may also seek reinforcements from our Founders/Builders as needed. We will also begin inviting some non-IT folks as I promised we would, starting next week. I remain deeply appreciative of the effort that so many people have made on the forums and elsewhere to aid in the development of our game, and I will happily begin to thank them in this manner. We also added another member to our team, a full-time game designer. We will introduce him next week, but very much in keeping with what the position calls for, he is a hard-core gamer as well as an RvR player and designer. He has a lot of experience in this aspect of MMORPGs, and his very recent and practical experience with RvR will be an excellent addition to the team. 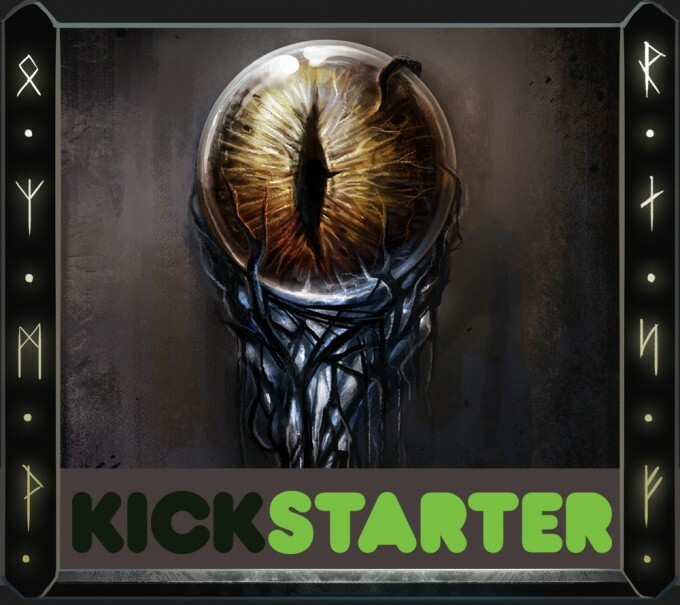 The opening of our Builder’s Tiers has resulted in additional donations to our game, and we are currently only 53K away from meeting our next stretch goal, the first stage of The Depths™. We will be reopening some of the Founder’s Tiers within the next two weeks as well as offering a few items as add-ons that our Founders have requested over the last six months. With both tiers opened, we hope to reach this stretch goal and to open the next one before long. For those who are wondering what that will be, my guess is that it will be a large one! That’s it for now. We’ve put in a lot of late nights this past week, but it was worth it. As always, our thanks for your support, donations and time. It’s a big day for the studio, and we are going to celebrate by trying to leave the office on time to have a good night’s sleep.